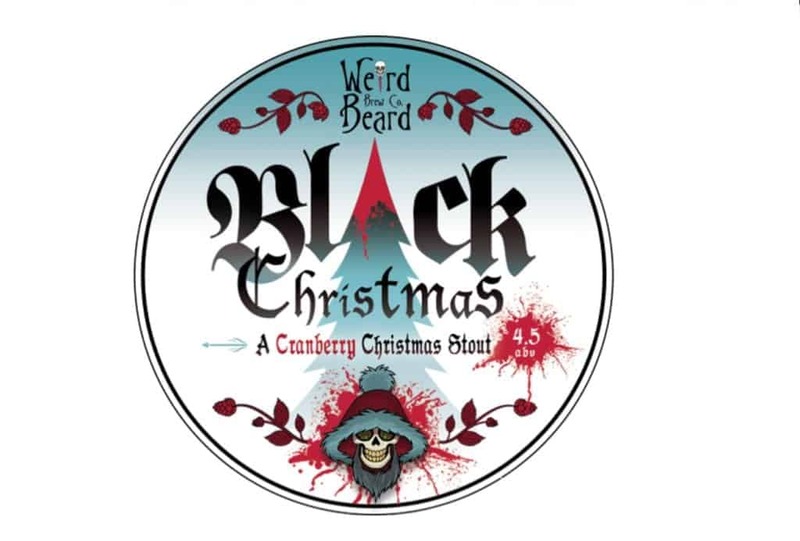 Brewed with Sorachi Ace hops from Japan and malted barley with the addition of cranberry juice, ‘Black Christmas’ is Weird Beard’s Christmas stout. When poured, the beer’s opaque black complexion is topped with a foaming tan head with fair retention. On the nose, notes of coconut and vanilla from the Sorachi Ace hops are joined by more typical stout notes of coffee, roasted barley and milk chocolate, though the cranberry is difficult to trace. It’s on the palate that the addition of cranberry is first noticeable, though its taste is surprisingly subtle. In fact, the cranberry works as more of a back note to balance further flavours of coffee and roasted barley with a very delicate sweetness that counteracts a little of the bitterness that continues with a long finish. Albeit a Christmas dinner staple, the subtlety of the cranberry is great – bringing balance to the brew, yet without being overpowering. As a result, ‘Black Christmas’ is (as promised) one of the least gimmicky Christmas beers available. Further information on Weird Beard Brew Co. can be found at weirdbeardbrewco.com.